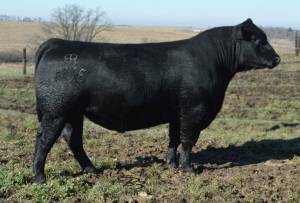 His Dam, RB Lady Standard 305-890, needs on introduction to the Angus world as she set the record at the NWSS Foundation Female Sale selling for $175,000 and has recently surpassed the $2,000,0000 mark in progeny sales. 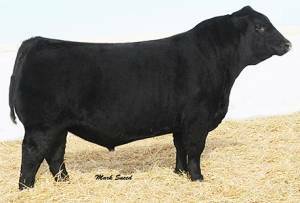 Night Prowler is a full brother to Gaffney Game Changer who recently sold to Herbster Angus Ranch in NE for $295,000. 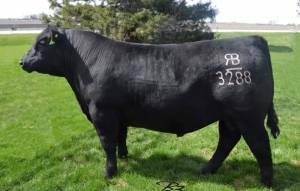 RB Lady Standard 305-890 records 54 progeny at 105 IMF ratio, 54 at 102 RE ratio, and 54 at 98 ratio for fat, so if it is hard data you want or an outstanding epd profile she is the best in the business. 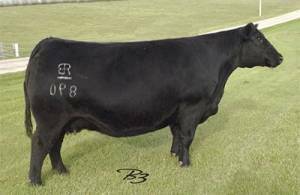 Look for RB Night Prowler 3288 to sire sure fire light birth calves with exponential growth, in an attractive and marketable package. An added bonus, he's a rare positive scrotal Confidence son! Breed influencing Active Duty is a full brother to Night Prowler's dam!